Our certification program combines the findings of our powerful Rencore Platform, the global standard for ensuring the quality, security and safety of SharePoint applications and customizations, with a newly developed best-practice methodology to take user benefit to the next level. Our certification based tests assess Functionality, Suitability, Reliability, Operability, Performance efficiency, Security, Compatibility, Maintainability, and Transferability of your products (if applicable). For more details about the program and how it turned out for a client, please visit our Rencore blog. The Rencore certification program provides you with an objective, independent standard for testing your SharePoint solutions, add-ins and apps, to give your customers confidence that your products have passed the highest industry standard tests. 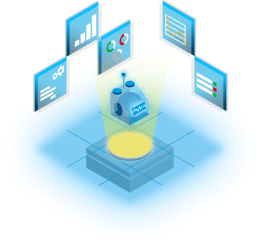 The Rencore Development Best Practice Certification is the only universally recognized way of testing the quality of code or the quality of the process employed to create those solutions. After completing the audit, our program will provide you with a certificate to show your customers that they can trust you and your products and solutions won’t harm their environment. It provides them with additional confidence in investing in you and your products. The certification will also help your developers continually work towards improving your internal governance procedures and maintain standards. Check out which products and companies already benefit from the additional customer trust the Rencore Certification is creating. You can also call us at +1 (855) 9-769-769. We are looking forward to hearing from you! 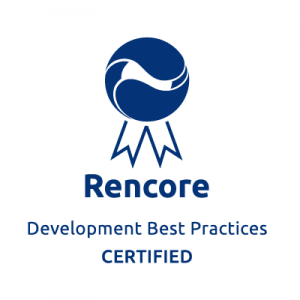 For more details on how the Rencore Development Best Practice Certification worked out for one of our clients, please visit the Rencore blog.